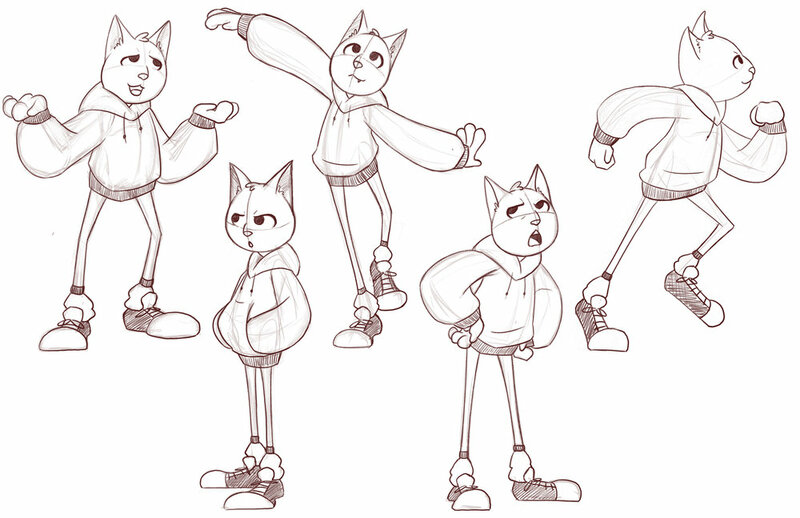 Daniel el Gato ('Daniel the cat' in Spanish) is a character design project that I developed inspired by a concept originated by a good friend of mine, Nadia. She described this character, named Daniel, as an animal like character who goes to high school with other animal like students. It was an interesting experimentation of designs and personalities, and at the end I had the privilege to choose one to develop a bit more.